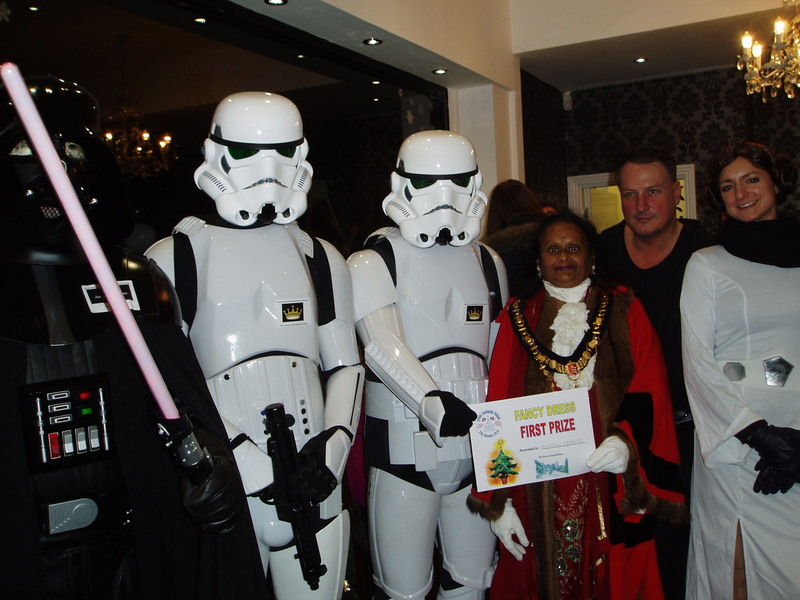 Pinner Panto Evening held on Thursday 24th November was a great success with crowds of people filling the whole of Pinner’s shopping areas. The Mayor of Harrow, Cllr. Rekha Shah, officially lit the Christmas lights on the two street Christmas Trees (sponsored by The Pinner Association) at 5pm, and the Bridge Street Christmas lights (sponsored by The Pinner Association) and the new High Street light decorations (sponsored by the Pinner Ward Councillors) all created a festive scene. The school and youth group choirs and dancers, and the Merrydowners Morris, provided street entertainment, and there were many fairground rides for children of all ages. The finale was a spectacular Fireworks Display in Pinner Memorial Park. We wish to thank the Pinner & Northwood Business Club and all the Pinner businesses who sponsored this wonderful community event. 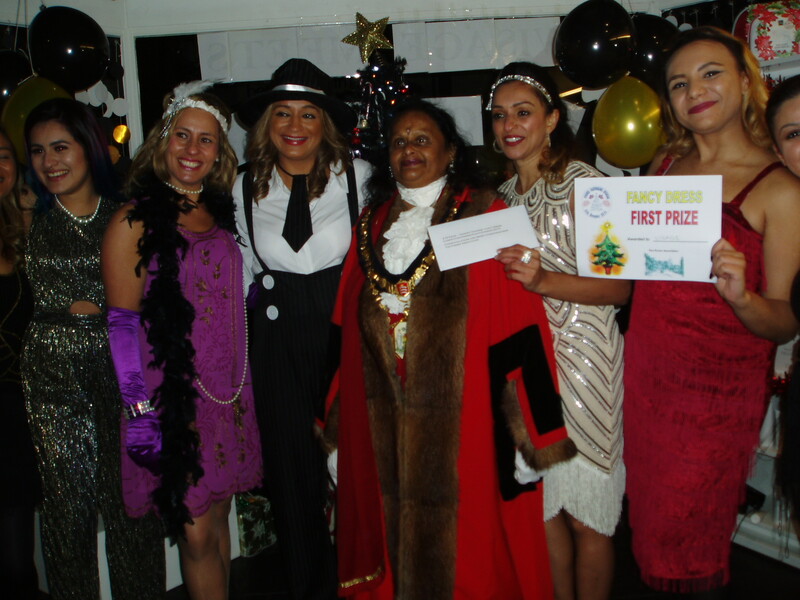 The Pinner Association were pleased to sponsor the Traders’ Fancy Dress Competition at Pinner Panto Evening 2016. 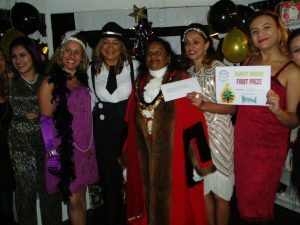 The standard of the costumes chosen by the many Pinner shops and businesses who took part was even better than ever and the Mayor of Harrow had a very difficult task to choose the winners. Friends, Pizza Express, Groomerz, Gibbs Gillespie, Dri Blow Dry Bar, Earth White and Robsons. 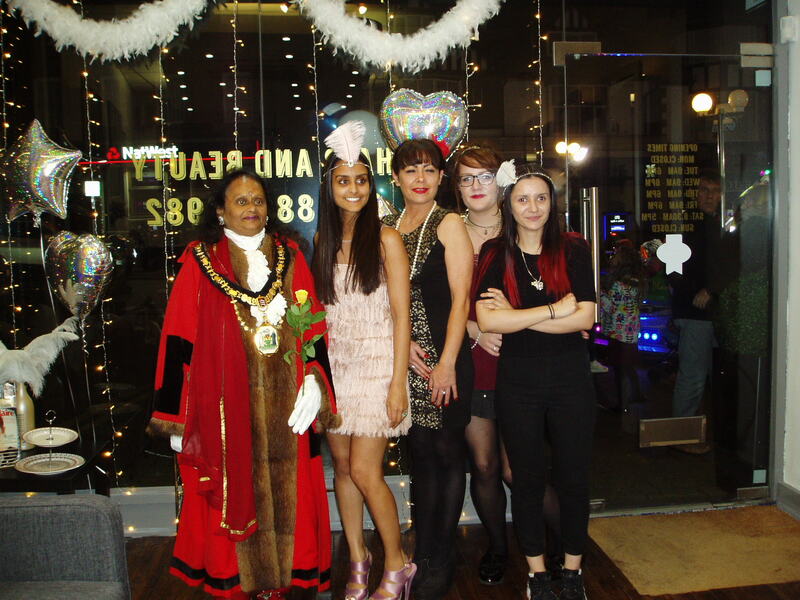 We wish to thank Cllr Rehka Shah, the Mayor of Harrow, who walked all around Pinner four times during the day, judging the decorated windows and Traders’ Fancy Dress competitions in addition to speaking with hundreds of people during the evening and having hundreds of photo’s taken. Her warmth and delight in everything she saw and everyone she met did much to make the evening special.